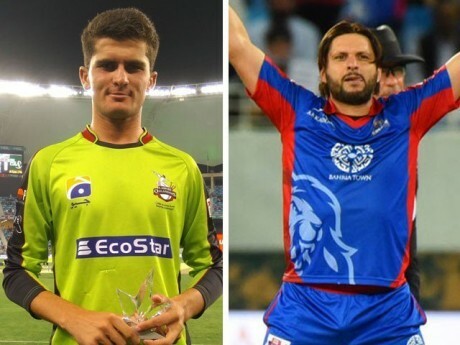 In Pakistan super league the amazing bowling of shaheen afridi made the boom boom shahid afridi to appreciate him. The Pakistan super league 3rd edition event is going in UAE, where in past this super league gave us superstars like, imad wasim, Baber Azam, fakhar zaman, Hassan ali and Muhammad nawaz, and now in 3rd edition the new rising stars are also coming up like agha salman, ibtasam sheikh, ameed asif, and shaheen afridi. 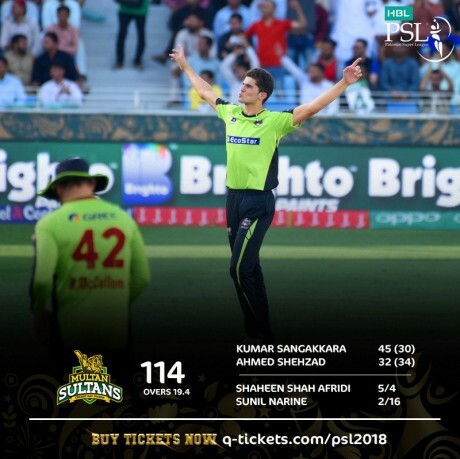 in the 20th match of psl 3 Lahore qalander bowler shaheen afridi did amazing bowling against Multan sultan and not only just made Lahore qalander to win its first match, but also got 5 wickets in 4 over’s by just giving 4 runs, and this bowling spell was the best till yet in this event, whereas he was also awarded with the title of man of the match. 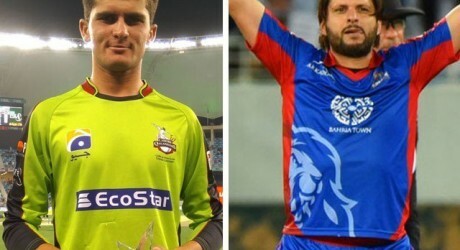 Shahid afridi also appreciated shaheen afridi on his bowling, the leader of Karachi kings shahid afridi will appreciating shaheen afridi in his tweet said that one more champion is being getting ready, at last Lahore fans got a bit of happiness. 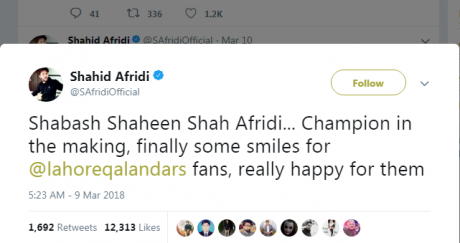 Keep in mind that Lahore qalander lost 6 matches in psl 3 and after that they won their first match against Multan sultan.